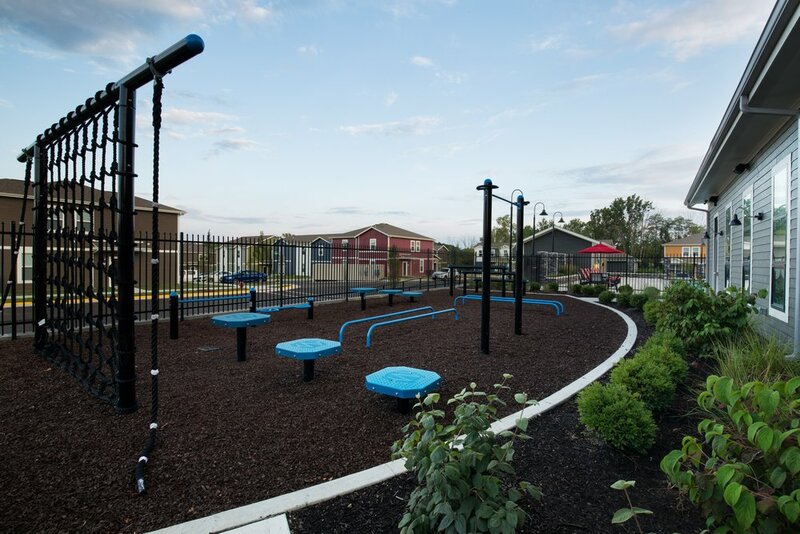 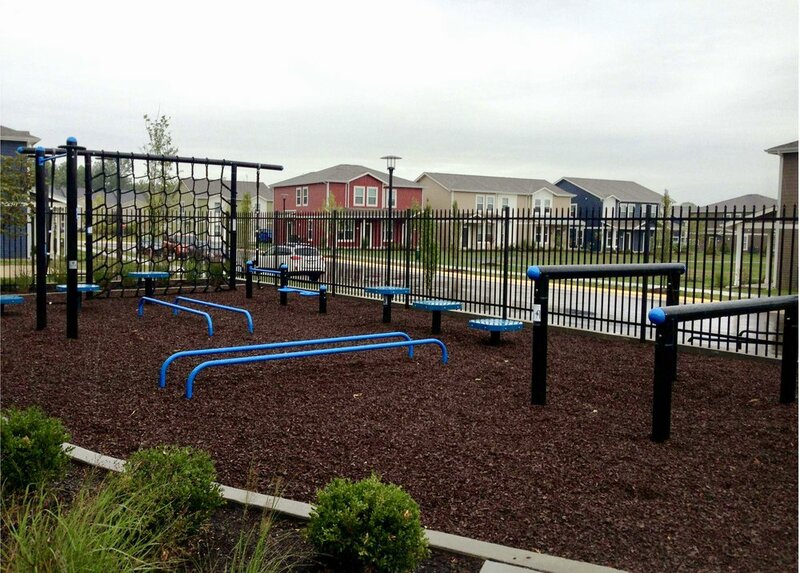 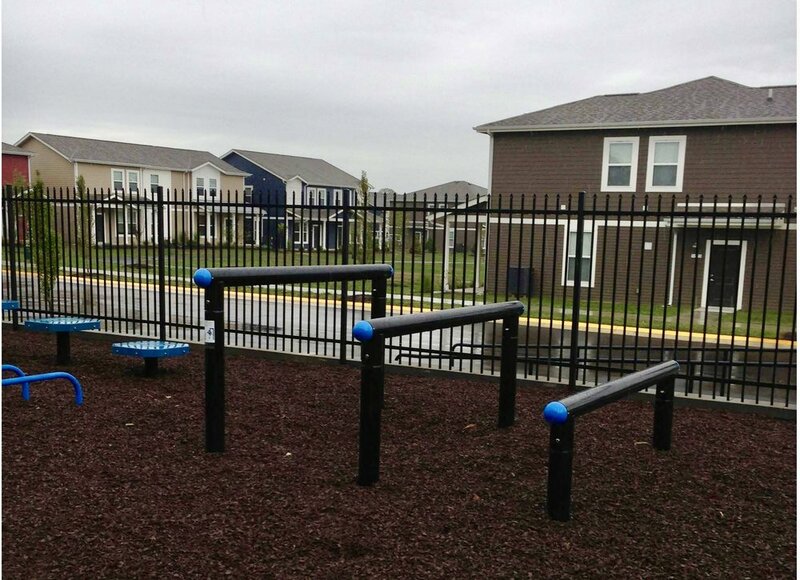 Great to see apartment living developments add innovative outdoor fitness amenities for thier residents! 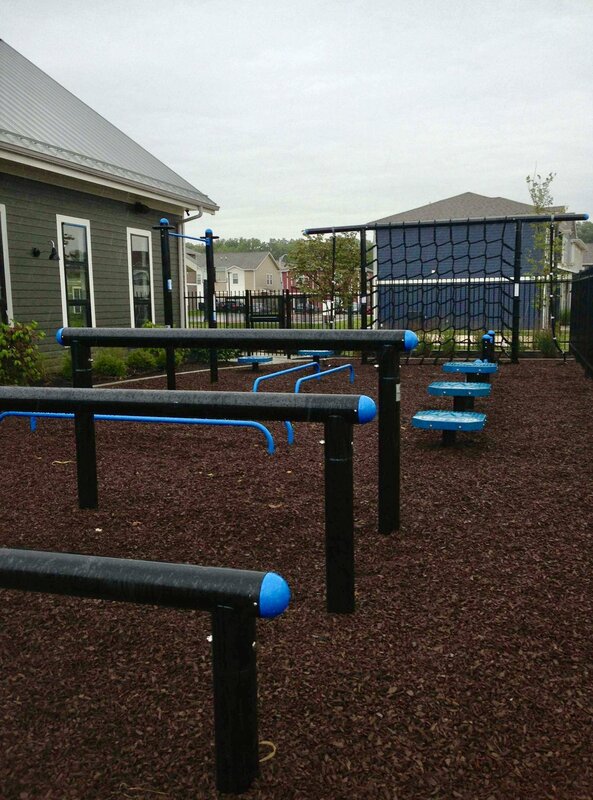 MoveStrong FitGround stations were selected for this off-campus housing community for University of Miami-Ohio students. 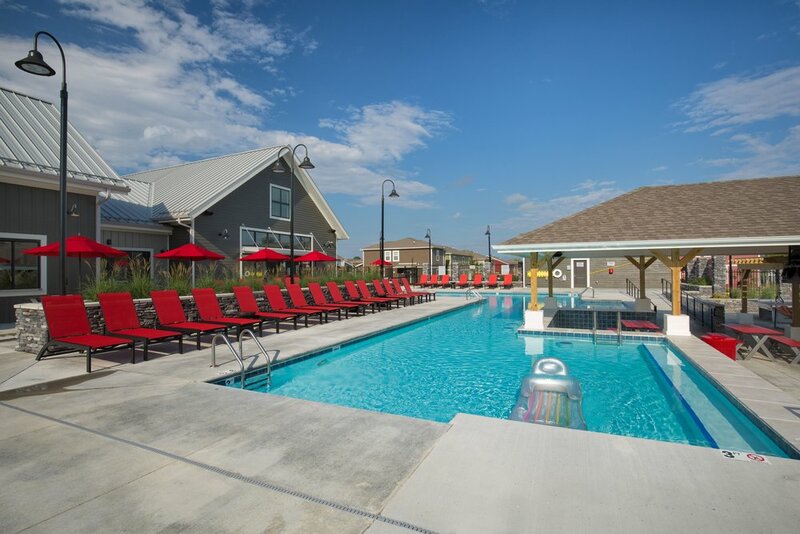 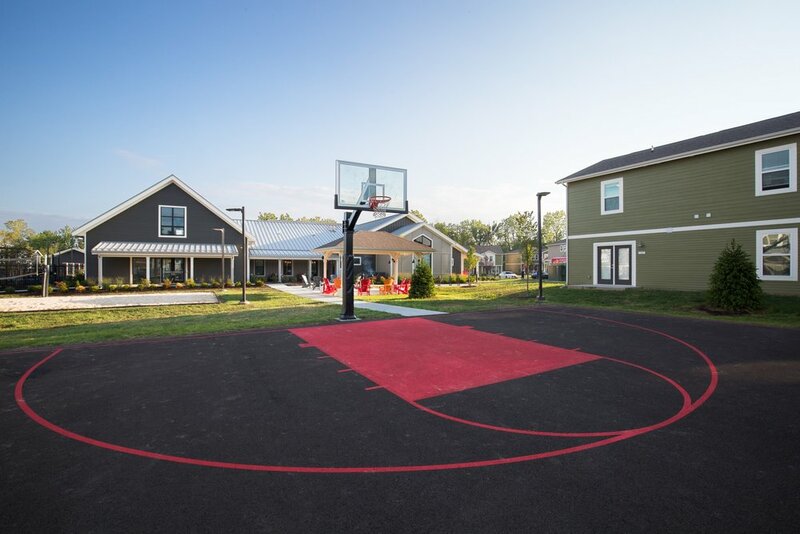 A beautiful upscale community with and amazing club house, pool, fitness center, basketball courts, and now a MoveStrong outdoor fitness area for thier residents! 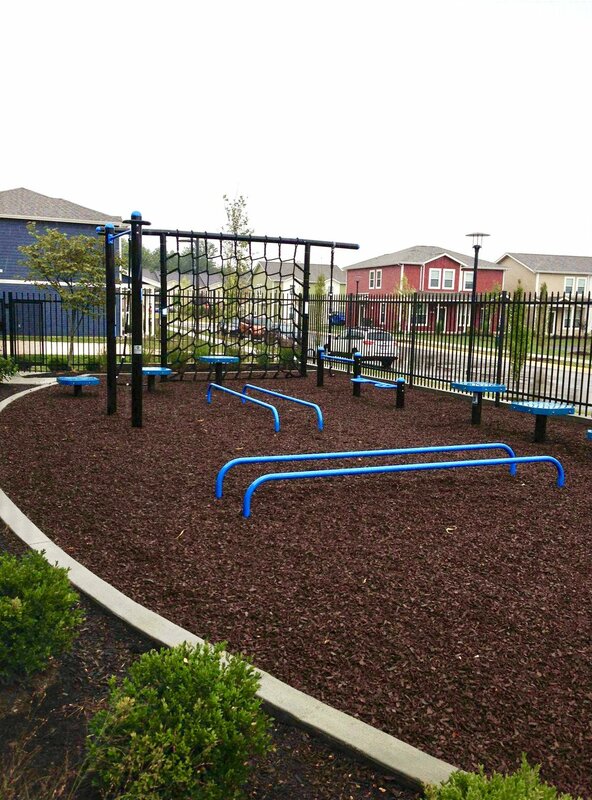 The FitGround stations chosen were Pull-up bar, Cargonet with rope climb stations, Over/Under post, Plyo-steps, Push-up bars, and Parallel Bars!